We have heard about ScrumBut and Water Scrum Fall. On similar lines, I thought I would coin another term “Watermelon Agile”. As we know, watermelon has green outside, and red inside. Similarly, the “Watermelon Agile” projects too show a greenness of Agile outside, however, they would still be “red” inside stuck with Waterfallish mentality. 1. They will do Daily Stand ups, but team members are forced to do it. It won’t stop there, blockers are screened before it goes to the blocker wall. 2. They will set up beautiful Kanban walls, but only to satisfy Agile coach or the management, who treat setting up Kanban walls means “Agile”. 3. The Scrum Master still drives the project in command and control mode. Some examples include, asking the team members to report to work at a certain time, micro-managing the team, cultivating blame-game culture within the team. 4. They will still do retrospectives, but team members have fear to expose anything negative about the project. 5. Team members are punished for doing any mistakes. This behaviour automatically pushes the team not to try new things, and in turn the project ends up with no innovation. 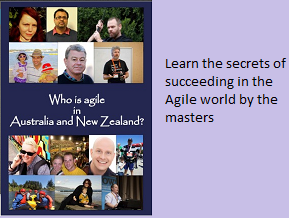 Do you know of any other Watermelon Agile practices ?